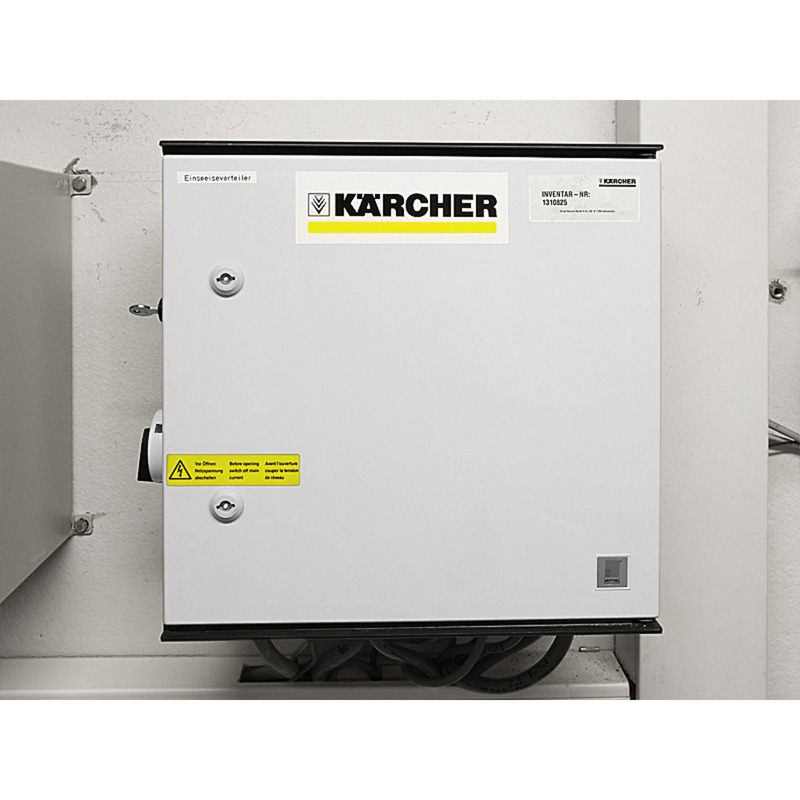 Interface for self serve starting device including key switch 26410140 https://www.kaercher.com/ae/accessory/interface-for-self-serve-starting-device-including-key-switch-26410140.html The "interface" is a prerequisite for connecting a wash card reader to the system. The various operating states are selected via the key-operated switch. Position 0: System off (end of operating time) Position 1: no manual programme start possible On the control section only manual interventions and functions are available. The wash programmes can be started only with the wash card reader Position 2: Programme start via control section and card reader possible This position allows programme start via the wash card reader and the control section. In addition all manual functions are available on the control section.